This Christmas you can get personalised Mr Men & Little Miss prints while you wait in Selfridges. Just select a picture and add your own wording - 'Little Miss Jones', 'Mr Smith' and so on - and collect in 20 minutes. Update - it's back for the Feb 2014 half term holiday! "World's first Mr Men and Little Miss personalised art print pop-up opens in Christmas Emporium. Selfridges and Art You Grew Up With have launched the world's first Mr Men and Little Miss personalised art print pop-up on the fourth floor of the department store. Housed within the Christmas Emporium, the brand is offering customers an exclusive opportunity to purchase a personalised print of their favourite Mr Men and Little Miss character. Customers simply need to pick their favourite from a list of 25 characters, select the size of print - Classic, Large and Huge, framed or unframed - and collect in store after just 20 minutes. "Art You Grew Up With are so excited to launch a Personalised Art Print Pop-up within Selfridges, the first of its kind," enthused CEO Russell Singler. 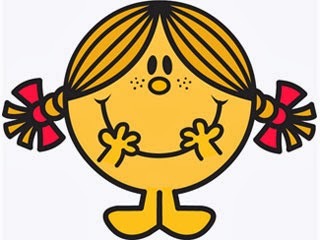 "I have loved the Mr Men ever since I was a small child and my kids have grown up with them, too. "They are a wonderful part of this country's heritage, adored by millions around the world. Personalising the Mr Men is a dream come true - the prints look amazing and make a unique gift for everyone." Richard Jones, Selfridges buying manager, added: "This is truly an amazing opportunity to take an iconic character we've all grown up with and love, and personalise for yourself or as a great gift." Prices start from £14.99 for an unframed Classic print and go up to £194.99 for a Huge framed version."